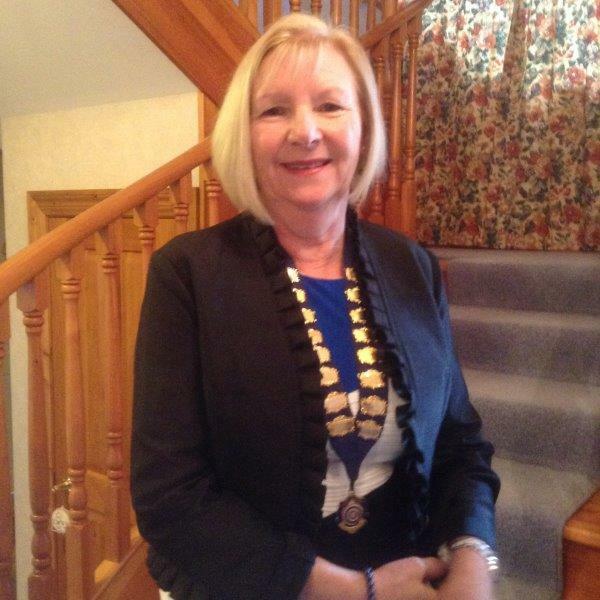 Plimmerton Inner Wheel's President for the 2016-2017 year is Carol Woodfield. Carol has been a member of Plimmerton Inner Wheel for 10 years and says, 'I am so proud to be part of this amazing worldwide women’s organization which even has a delegate on the UN'. She was born on the Bonnie Banks of Loch Lomond and went to school in Glasgow and university in Edinburgh where she did a BSc in Social Sciences. When she met her lovely Kiwi husband, Alastair, on a ski holiday in Austria, she was working as a social worker in Glasgow. They moved to New Zealand in 1982 and have 3 sons and a daughter. They also have a beautiful 8 year old granddaughter living in Whitby. For 18 years, Carol enjoyed working for Special Education with children with special needs and disabilities at pre-school level. She is a great lover of the outdoors and in her spare time she likes to golf, cycle, garden, walk and travel. Carol says, 'Our theme this year is ‘Touch a Heart’ and we plan to incorporate that in all we do. We already have a fundraising movie arranged for Heart Kids and we hope to touch many hearts over the next 12 months. Working together on fundraisers is a great way of forging friendships. We will again be involved with Rotary in the joint venture Garden Trail in November. This year we plan to get together with Kapiti and Wellington Inner Wheel Clubs in addition to meeting up with Wairarapa and Tawa . There will also be a golf trip again this year. 'International involvement continues with our raffle sponsorship of our girl, Nary, in Cambodia through World Vision and there will be interesting speakers on International matters over the year. 'Changeover on 11th June was a lovely day with a wee touch of tartan, bagpipes, a haggis ceremony and Scottish songs. I have a wonderful committee who are a great team to work alongside. 2016/2017 is going to be a most successful year of friendship, community service and fun'.